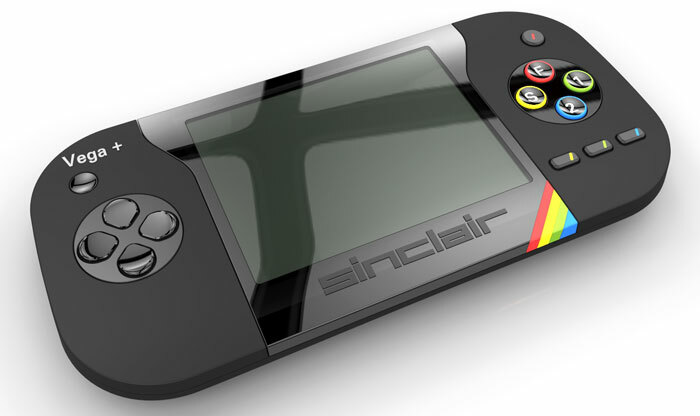 Back in early June, HEXUS featured the news that IndieGogo had hired a debt collection agency to recoup funds and reimburse backers of the Sinclair ZX Spectrum Vega Plus Console project. Retro Computers Ltd (RCL), the firm behind the console project, complained that the IndieGogo intervention had destabilised its business potentially making it harder to deliver finished goods to backers. Now, at last, some backers are starting to receive their long delayed console hardware. EuroGamer reports that a version of the console dubbed the 'Blankety Blank' has started to ship. An initial batch of 400 of these consoles left the warehouse on 26th July and there are reports some backers already have received them. Interestingly the 'Blankety Blank' version (no pre-installed games) of the console shipping, yet those with 1,000 pre-installed games not available yet, points to continuing licensing issues. In late May, RCL said it would have to "write to all the games rights owners, ask them to confirm that we still have a licence in place for using their games in the Vega+, and await their replies". That obviously could take some time. With the first batch of consoles shipped out and as they start to get into end-user hands RCL has rather triumphantly claimed "It has been a well documented long and difficult road for the company. Well, we have now proved all negative claims to be false." IndieGogo project backer Craig Wootton received his console yesterday and has kindly shared a first impressions video on YouTube. In the video, embedded above, Mr Wootton says that he is relieved to get his hands on the console, at last, but was disappointed about the console packaging and build quality. The console arrived with its plastic screen already scratched and it was observed that the under screen logo and rainbow motif were pieces of paper or card. Attic Attack was my favourite! Don't forget Jet Set Willy! Unfortunate that the actual product doesn't look at all as nice as the advertised picture. Only game i ever played on ZX was Double Dragon. C64 all day every day !!! !